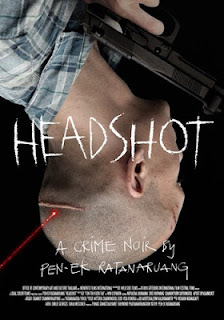 This slyly clever title reveals multiple meanings when our hitman sharpshooter (Nopporn Chaiyanam) adept at doling out death finds himself on the wrong end of a bullet to the skull, the ensuing trauma causing his brain to literally see the world upside down. This “new vision” proves just as confusing as the old, with duplicitous characters and tenuous alliances as the shadows of his former life pursue him even into his new existence as a monk. Narrative time jumps – mostly indicated by the length of Chaiyanam’s hair – provide the juice even with minimal action and/or gunplay. Fine use of visual touchstones further accented by Ratanaruang’s sure visual compositions.